Manufacturer & Exporter of Embroidered Silk Fabric for Dresses. Our product range also comprises of Uniform Badge, Shoulder Badge and Special Badge. We have come up with a wide variety of check Embroidered Silk Fabrics for Dresses that finds wide application in designing home-furnishing items. These fabrics are printed in checks, either single, double of multi-colored checks and are embroidered to perfection to enhance their look. Following are the distinguishing features of these fabrics. 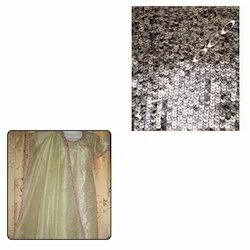 Looking for Embroidered Silk Fabric for Dresses ?